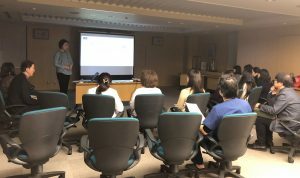 Two study sessions of “Useful English Conversations in Hospitals” were held at the Nippon Dental University Hospital by Our Foreign Neighbors We Care on January 15th and March 7th, 2018. The first session introduced how to ask patients who seem to be having problems, and how to inform some solutions as well as making replies to what patients ask. 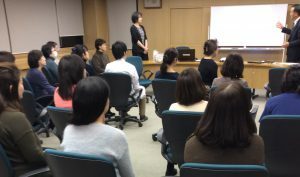 The second session covered telephone conversations including set phrases and a phone conversation which typically happens in the Nippon Dental University Hospital. 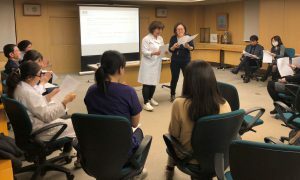 The participants who are dental hygienists and dentists gave feedback to us that they had good experiences practicing the specific and useful phrases, and they would like to be able to use those phrases in the future. please send us an email to contact@wecare-ofn.org.